So you have read our Getting Started Guide, have signed up for frequent flyer accounts, Awardwallet, and have checked your credit via CreditSesame and it is 640 or above. You are now ready to get started with our Easy Quarter Million. This is the fun stuff you have heard so much about. I am talking about getting the number of frequent flyer miles and points in 2 or 3 months that would take 10 around the world flights to accomplish in a plane. And you will be getting all of these miles and points without stepping foot on an airplane or spending any more than you normally would. Sound too good to be true? That is what I thought too, but by following the principles I am about to lay out, I ended up going on a 5 month, 15 country, 26 city, 35,000 mile trip of a lifetime. And you can too! I have scoured the web looking at all of the different offers available and given you the best possible ones to get started. And when you are done, you will have 240,000 miles and points to plan your getaway! Before I get too into it, I wanted to give a quick overview of how the credit card bonus process works. In order to get you to choose their card over other competing cards, most cards offer a sign on bonus of some amount of miles or points. Some of these bonuses are automatically given after the first purchase, but most of them are awarded after spending a certain amount on the card within a certain amount of time. An example of an offer would be 50,000 miles after spending $3,000 within 4 months. This means that once you get the card, as soon as you spend $3,000 and your statement closes, 50,000 miles will be added to the appropriate frequent flyer account. If you go past 4 months and spend less than $3,000 then the bonus will expire (but I will show you ways to make sure the spend requirement is met). Whether you want to apply for them all today (in a thing that us in the miles game call an App-O-Rama) or if you want to tackle them one or two at a time is up to you. If you can meet the spend requirements for them all at the same time it is sometimes easier to get all of the cards today and enjoy the big windfall as the points are awarded to your accounts. I have added the cards in a particular order so you can get some easy points under your belt before tackling the ones with the larger spend requirements. One other thing is please use the links provided to both support the site and to make sure you get the offer we are telling you about and not some other inferior offer. Without further ado, here we go! 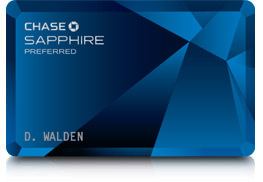 Easy Quarter Million Card 1) Chase Sapphire Preferred. This is without a doubt one of the best cards on the market now with a 40,000 Ultimate Reward Points bonus which is awarded after you spend $4,000 within the first 4 months. Check out our full review for all of the benefits of this card. Our full review covers things in more detail, but on top of the bonus, this gives you access to the point earning machine that is the Ultimate Rewards Mall. I personally have gotten over 300,000 points just this year due to shopping promotions they run and I share with you in articles on this site. No Foreign Transaction Fees make it a great card to use overseas and the 2X points on dining and travel will come in handy for anyone. If you apply for this card on the same day as the IHG Rewards card, then you will only get instant approval for the first card, but you can call the Chase reconsideration line at 888-245-0625 to get approval without waiting for the letter in the mail. This card has a 50,000 AAdvantage Mile sign up bonus after spending $3,000 in the first 3 months. This card also gives you a free checked bag on American flights, Priority Boarding, 25% off in flight purchases and 10% back for any award miles you redeem (which can be a huge benefit!) This has an $95 annual fee that is waived for the first year (and was easy to get waived with a phone call after the first year for me). I hold this card close to my heart because I used it to get the miles I used for my Round The World trip (although the offer was 75,000 when I got it). The Capital One Venture is a different type of card that gives you “miles” which can be redeemed for credits for travel related expenses. The sign up bonus of 40,000 miles after $3000 in spending in the first 3 months can be redeemed for $400 in statement credits for any travel expenses. This allows it to be used for airfare, hotels, taxis, and any other items coded as travel expenses in the Visa system. The great thing about this card is its flexibility and its earning rate. Since you get 2 miles for every dollar you spend towards travel expenses, it is in essence a 2% cashback card for travel which is great! Easy Quarter Million Card 4) Chase IHG Rewards Visa. This card gives you an amazing 60,000 IHG Rewards points after spending $1000 in the first 3 months. That is enough for 14 nights at any of the PointBreaks hotels that they have on special each quarter. So again, get this card, spend $1000 and then stay 14 nights at really nice hotels around the world! I used 10,000 points during my around the world trip for 2 nights at the Crowne Plaza in Petra, Jordan and was upgraded to a suite, even without status! This card also instantly gives you Platinum Status with all of the hotels in the IHG Rewards Group (Intercontinental, Crowne Plaza, Holiday Inn, Hotel Indigo, Staybridge Suites, and Candlewood Suites.) This gets you upgraded rooms, extended check-out, 50% bonus point earnings, early check-in and more! It also gives a free night every year after the first year at any of the hotels, 5 points per $ for amounts spent at any of their hotels, 2 points per $ for gas, groceries and dining, and 1 point per $ for everything else. You also get a 10% points rebate on any redemptions and there are no foreign transaction fees which makes it a great card for out of the country use. There is a $49 annual fee that is waived for the first year, but the free night each year more than makes up for it so this is probably a card you will want to keep as well. This card is very similar to our Card #3 because its 40,000 Miles can be used for a variety of travel expenses as a $400 credit on your account after you charge the expenses. This means that the sign on bonus is work a fixed value of $400 as long as you redeem it for travel expenses. You can use it for hotels, airfare, car rentals, cruises etc which sets it apart from the other cards. And since you aren’t redeeming the miles for an award ticket, you will get the frequent flyer miles or points when you use the $400. You also get an automatic rebate of 10% whenever you redeem miles as a credit which is a nice bonus. If you want to see our full review on this card, you can check it out here. If my math is correct, that should give you 230,000 points which almost completes our Easy Quarter Million. You will have 40,000 Ultimate Reward Points, 50,000 AAdvantage miles, 40,000 Capital One Venture Miles, 60,000 IHG Rewards Points, and 40,000 Barclays Arrival Miles to plan a trip or trips of a lifetime! Now comes the fun part, deciding where to go! I mentioned a few options above but I have just scratched the surface. How about a trip to Europe to see some of the summer music festivals? 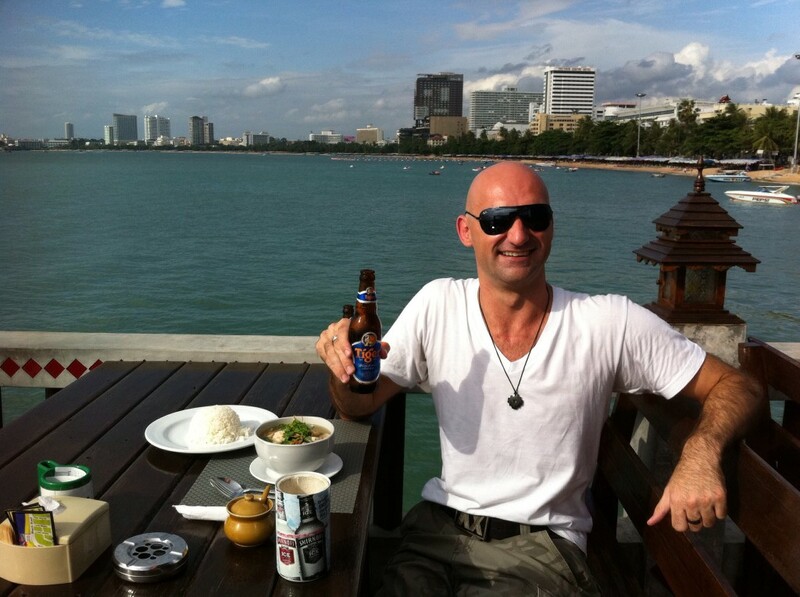 How about a trip to the epic full moon party in Koh Phangan, Thailand? How about a trip to learn to Tango in Buenos Aires? It is up to you! How will you use your Easy Quarter Million?